5 Charles John Martin, in public, Christchurch, circa 1860 - spoken by George McMahon. 11 Davie Thompson, drover, to assembled townspeople at Wairoa, circa 1900 - spoken by George McMahon. 23 A New Plymouth resident, on pakeha land-takeover; and Arthur Desmond - spoken by George McMahon. 27 R.A.K. Mason, in his On the Swag - spoken by Neil Colquhoun. 34 An anonymous contributor to the New Zealand Herald, November 8, 1893 - spoken by Bill Taylor. 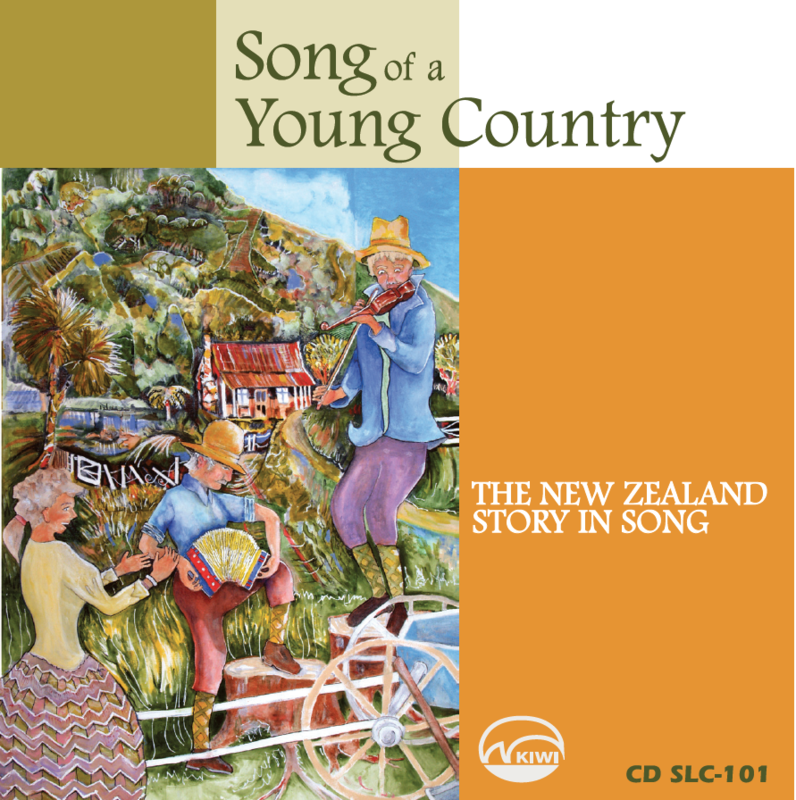 Kiwi-Pacific is proud to have three of its albums listed in Nick Bollinger’s 2009 “100 Essential New Zealand Albums” - SONG OF A YOUNG COUNTRY is one of them. This chantey is attributed to D.H. Rogers in The Bulletin, Sydney, 1904. Sailing ships began to visit New Zealand around the 1790s, a few on the lookout for tall timbers but most hunting for whale. These were the great days of sail, the impressed sailor, the run-away-to-sea', and the able-bodied Jack Smith. The 'Wellerman" was agent for Weller Brothers, the Sydney firm that established many of the shore stations paying their men’s wages in goods. Shore whalers lived a comfortable life compared with the sealers. They were befriended by the Maori people who built homes for them, grew food for them, and worked at both whaling, and at cutting in and boiling down the blubber. The sail-ship "Britannia", which carried convicts to New South Wales in 1792, also left sealers in Dusky Sound, picking them up a year later, together with 4,500 cured seal skins. Thus began an industry. Sealers were left on the southern islands and bays to kill as many seals as they could. Many were forgotten and marooned for years. The arrival of a ship in the 1840s was a very important event. At Wellington they fired a cannon wherever a ship came through the heads. At Auckland they hoisted a special show of flags. People made haste form a long way off. Each newly-arrived family, with its news stories and songs (such as this one) brought relief to the isolation that even a colony of 6,000 feet. Arrivals to this country have included settlers from Holland, Hungary, Yugoslavia, Denmark, Germany and other European countries. But the earliest settlers were from England, Ireland or Scotland and were assisted in their emigration and resettlement by organisations such as the New Zealand Company'' or the Otago Association. In his song colonist John Barr explains the reasons for his journey. In England every emigrant ship had a good send-off. This was partly an effort by the Company to get newspaper publicity, but also to give heart to people who were leaving their homes and friends with little chance of seeing them again. A function was held the day before departure. Emigrants wore their best clothes and had a substantial meal of roast beef, plum pudding, and John Barleycorn. Bands played' Flags flew' although possibly of more recent date' this version of what is usually considered an Australian song expresses well the sentiments of those times. The town of Dunedin began as a camp' Passengers and goods "were shipped by whaleboat through the Otago inlet and tradesmen and shopkeepers waded out to the boats. There was a shortage of all things, including farm implements' Farmers needed to be hard-working' but not all were sober, as song-maker John Barr discovered one morning approaching unobserved, the back-door of a neighbour’s house. Phil Garland wrote this song some time ago. Related to the shearers’ “Condaminer" it recaptures’ some of the loneliness that the men must have experienced while 'working out country. The forests however, though green, had experienced sweeping forest fires over periods of thousands of years and the sap of the Kauri tree run into the earth, formed deposits of solidified gum. As employment opportunities in the colony declined men out- of -work began to collect the gum, to scrape it, and to sell it to the local storekeeper who bought it by weight' and shipped it, as secondary cargo' to Sydney. The trade of the gum-digger had begun. Kauri gum was used in the manufacture of varnish. Alongside the bushmen, who milled the timber, lived the settle$ who hoped to take over the free-felled land to develop it as small farms. Gum-digging was a way to pay the debts and to buy cows. Throughout the whole north there settled, to remain, the individual and the family - the English, the Irish, the Yugoslav, the Dalmatian Kauri gum-digger. This song, passed on to us by Peter Sinkovitch, is an English language fragment from the gum-fields. But the tune is Yugoslav and the words probably a translation or paraphrase of Yugoslav or Dalmatian verses long since forgotten. The first gold rush of this country was to the steep-sided gullies in the Tuapeka district. In Dunedin the prices of goods, food, clothing, board and lodging, and building- sections, were rising. Carpenters were building rows of cottages to rent; new shops and warehouses were opening. Otago Province was going to become the richest Place in New Zealand. Written in the style of tradition, this Phil Garland song describes the change that gold was making to the life of the people. The most successful ballad-maker of the 1860s was without doubt Charles Thatcher, who toured the goldfield of Australia and New Zealand as an entertainer. He introduced the topical "patter-song" to the gold-diggers, expressing their disappointments and frustrations in humorous song. Many of his songs were taken up by the diggers and subjected to the folk-process". Some survived right through to the Present day as folksongs. The story of the Maungatapu murders by the Kelly gang made New Zealand legal history. The trial was a show-case for the law enforcement authorities on the goldfields. In 1962 the NZBC recreated the trial in a dramatic documentary called Murderers Rock, and commissioned Neil Colquhoun to write this ballad. This is the great New Zealand legend. So surrounded are the true facts by mystery that even the country named after this famous sheep-stealer shows incorrect spelling. John MacKenzie, a Scottish shepherd, is supposed to have trained his collie dog to such b stage of understanding that he could work alone, silently, miles from his master. There are a great many ballads in New Zealand tradition about this legend. This is possibly the most detailed. The recorded performance is a shortened version. This, basically, is an Arthur Desmond paraphrase of (he claimed, and possibly it was) a Te Kooti warrior chant. Certainly, some fragments remain in the Maori (underground) and have been rebuilt here into the original Desmond song. Desmond knew Te Kooti and championed his cause. Land purchased carelessly by the government through unscrupulous agents led to the so-called "Maori wars". Chiefs, such as Titokowaru and Te Kooti, rebelled. To weld their people together they founded new codes of honour - Pai Mariri and Ringatu. Since the 1840s, first the Company’s agents, then the government’s agents had been buying land from the Maori for resale to settlers. Land ownership was complicated. Anyone who presented himself as a "Great Chief” with s selling rights to a block of land r welcomed with open arms -his t not too closely investigated and advance quickly given him to help prevent a change of mind. This Patterson ballad tells of one time procedure backfired. A song that dates from the early 1930s when world economic recession ended in disaster. Unemployment was increasing alarmingly and men were leaving home to begin walking through the country looking for work. The work of one-time “professional swagman”, “Shirlee” Alison, this song caught the flavour of the talking-blues at a time that the talking-blues form was just developing in America. The influences of the phonograph record and such recorded artists of the twenties as Rogers and Crumit are apparent in the songs collected from this period. This song cannot yet be traced to its author. It appeared with the initials N. A. A. in the Lyttelton Times of 23 March 1889. The Rev. Rutherford began a campaign against the sweating system in the clothing trade with a sermon delivered in October 1888. The resulting agitation spearheaded by columns in the. Otago Daily Times led to the formation of the first tailoress's union a royal commission of enquiry. Offaly is a county in Ireland. The Scottish and Irish both contributed to our folk-traditions - the Irish very much in Westland. This song, however, probably refers to Surface Hill near Naseby, where many miners were killed. Bob Edwards wrote the words of this ballad which has had, over the Years, a remarkable currency mostly in a recited form. It has however gained a number of tunes. 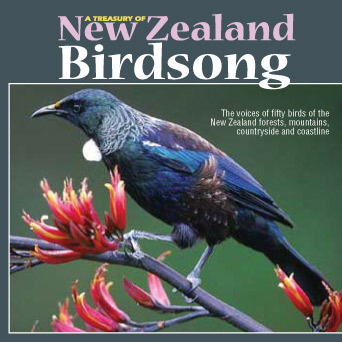 The one Phil sings comes from the south and differs from that printed in New Zealand Folksongs. A song picked up on the Wellington waterfront. Some people are fond of pointing out that the cheeses loaded are neither old nor smelly . . . but this seems unimportant to a rousing sing -a -long. On holidays, unbeknown to our Parents we kids invited ourselves into this railwaymen’s world, were given tea and biscuits and entertained with music from two mouth-organs (one so small it fitted right in the mouth), a pennywhistle, and a cigar-box zither. But the instrument that fascinated us the most was a metal W, with wire Prongs, held against the open mouth, twanged with a finger, and sung into - to numerous "tiddly-i-ti's. This was the Jews Harp". We didn’t know who Railway Bill was, but to us he seemed some kind of hero, defying foreman, inspector, and perhaps even holding up the express to remain sitting on the line. New Zealand's worst mining disaster occurred at the Brunner Mine in Westland on the morning of 26 March, 1896 when an explosion at the coalface rocketed through the whole mine and killed every man, a total of sixty-five, leaving one hundred and eighty-six children Fatherless and "fourteen other aged and invalid persons without a breadwinner'. It was 9.30 a.m. when smoke and steam pouring forth form the mine indicated disaster had occurred. “ . . . there must have been almost seven hundred of us deregistered Union men there outside the Town Hall, and after all those days, weeks, months of holding out, and many of us having used and shared our money from the Post Office Savings to keep our families going . . . we had to watch them come out smiling, playing a role for the boss, most of them young, single, and some of them "craftiest' who were pickin' up money for it . . . and not a single man who stuck by the old union had a right to state his case - even in a letter to the paper. I work alongside some of those boys now. And we’re being friends. But on that day seven hundred of us were still out. And one hundred walked in to pick up scab money . . . “. This now well-known song by Dave Jordan effectively describes the monotony of work on the freezing-works chain. The money may be good but it’s rough on the spirit. Notes prepared by Neil Colquhoun. New Zealand Folksongs - Is this the New Zealand tradition? Few folklorists are musicians and most look for evidence to support their theories and deductions in the words of a song. On these records they should find much of interest. Such songs as SOON MAY THE WELLER MAN COME, BLOOD RED ROSES, THE MILL, AS THE BLACK BILLY BOILS, and RAILWAY BILL have remained in the tradition for many generations. Their authors have been forgotten; their words have been moulded by the folk process. Songs such as JOHN SMITH A.B., ALTERED DAYS, RISE OUT YOUR BED, DUG-OUT IN THE TRUE, are now being traced to their original authors. Some can be found printed in early New Zealand newspapers and journals. Some have gained melodies and word changes during their years of oral transmission. Two songs, TE KOOTI E HA and SONG OF THE DIGGER have been reconstructed from several sources. Three have been given melodies – ALTERED DAYS, BLACK SWANS, and RUN FOR YOUR LIFE. Finally, four songs are the work of contemporary song- writers who are interested in continuing the tradition. BANKS OF THE WAIKATO and TUAPEKA GOLD are the work of Phil Garland. Neil Colquhoun was commissioned to write MURDERERS ROCK for an NZBC play of the same name. GUTBOARD BLUES was written by former film producer Dave Jordan. Most of the instrumental sounds heard on these records derive from American instrumental techniques propagated during the recent folk music revival. In view of the fact that this was the second or third time such instruments had become popular and at each previous time they had been associated with the birth of a song-tradition (in the 1860's the banjo, mandolin and violin, with the songs of the gold rushes; in the 1930's the "hillbilly guitar" with the songs of the depression), such accompaniments would seem very appropriate. Vocal styles range from: Rudy Sunde's simple recreation of New Zealand tradition; through the "English- traditional-ballad" voice as in the singing of Marilyn Bennett and Bill Taylor; the dramatic approach of Bruce Hall; the careful working of accompaniment and voice of Neil and Barbie Colquhoun; to the almost "pop" extensions of Tamburlaine. Just about every folk style heard in the New Zealand clubs has been here asked to join in the telling of a story the SONG OF A YOUNG COUNTRY. String quartet from Symphonia of Auckland. Recording: This album was conceived, recorded, edited and assembled by John Ruffell. Book and CD together provide a unique social history of New Zealand. AII recorded songs were drawn from the archives of the Auckland branch of the New Zealand Folklore Society. Recording folk music is, at any time, a specialised business. But an album such as this becomes a great experience. Each artist brings to the studio his own personality - ideas for interpretation - in, particular, and in general. No matter how familiar he may be with the material, the producer is in for many surprises. I wish to thank all artists for their co-operation, hard Work, and their genius. Special thanks to Robbie Laven, who, for his superb accompaniments, played just about every folk-instrument you could think of.